Approach Fast Stack along with it's sister company Park Rapids Avionics is able to offer complete avionics suites; whether it be a retrofit to an existing aircraft or new instrument panel. Approach Fast Stack prides itself on being able to offer competitive avionics prices as well as excellent customer support. 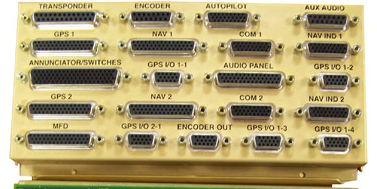 Please visit our contact page if you would like to include the avionics package as part of the hub/harness solution. The Pro-X Hub is compact and lightweight permitting installation anywhere behind the instrument panel. Simply select the appropriate Approach cables for your avionics, plug it in and you're done. All Approach cables are Milspec Tefzel with proper gauge and shielding. 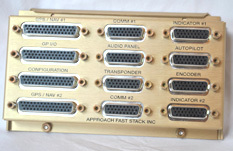 Cable ends are terminated with the connector connecting the Pro-X Hub to the avionics.